Quick Freight Management Pakistan provides wide range of comprehensive sea freight services. With the strong presence in all major shipping routes around the world, we offer efficient, cost effective and sustainable sea freight solutions customized to the needs of our customers. Our accumulated experience and friendly service further ensures seamless and well integrated delivery solutions. Ocean freight has been transformed since the 1950s by the introduction of standardized, stackable shipping containers. 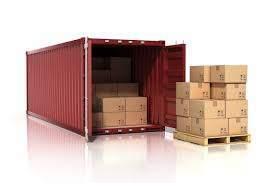 90% of non-bulk cargo’s are containerized and so, to optimize the filling of them, groupage has arisen – a ‘groupage’ definition is the amalgamation of loads into one bigger more cost-effective one.The smallest and most popular container sizes are (approximately) 20 foot and 40 foot lengths.Within them are loaded pallets of goods: boxes and crates may also be transported but beware, some ports of entry refuse to handle them. If you have more than 5 or 6 cartons to ship then they are best palletized anyway. Through its own offices and worldwide agents’ network, QFM offers weekly LCL services globally. Upon de-consolidation at its multiple bonded CFS facilities QFM can monitor the product till it is safely delivered to the client’s broker or representative. QFM offering weekly consolidation services to the entire Upper Gulf, Indian Sub-Continent, Red Sea and Mediterranean ports. We have earned a favorable reputation for timely deliveries, using only the most reliable liner services.